It has taken me ages to get around to writing this. 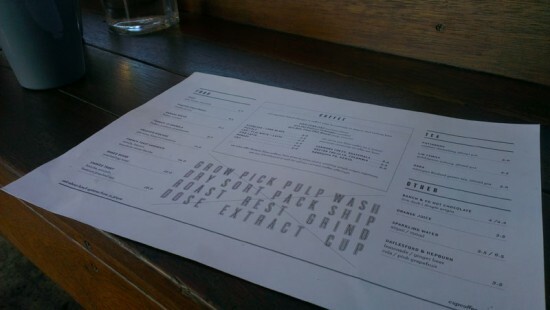 One of my friends has been telling me for ages to check out Cup Coffee. The cafe is in West End on Russell Street, just a short walk from Vulture Street. With a high roof and a large open roller door, the cafe looks like it was built out of an old workshop. A gentrified old workshop, with seats, coffee machines and some interesting robot themed artwork on one wall. Cup Coffee roasts their own beans, and not just for their own use. According to their website they supply about nine other cafes. They produce blends and single origins, available through their own cafe and their business customers. Us normal people can buy their coffee either at the cafe or online via their site. The cafe itself sells coffee, unsurprisingly, and a limited range of food. The coffee itself is good, some of the best I have had in Brisbane. They certainly didn’t do anything wrong when they made it, and the bean’s flavours were obvious. 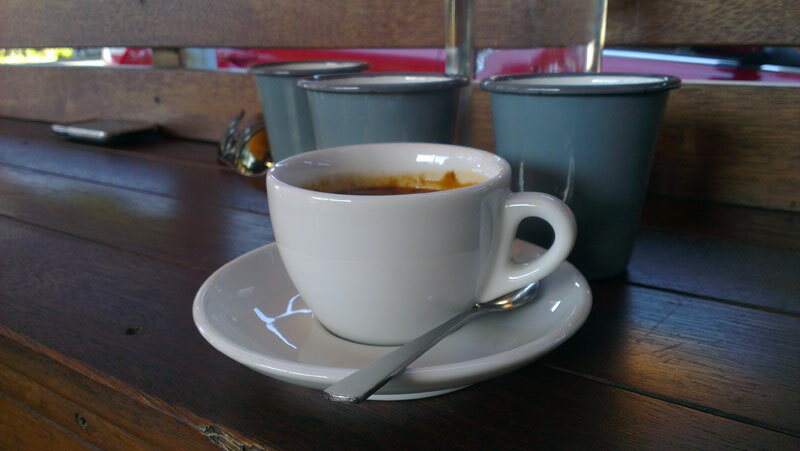 Though like a lot of other cafes, the single origins offered seemed to tend towards fruity.